John Dowd, President Trump's personal attorney, has taken responsibility for a tweet that implied President Trump knew his former national security adviser Michael Flynn had lied to the FBI when he demanded his resignation in February. On Saturday, a tweet from Mr. Trump's account stated that he "had to fire General Flynn because he lied to the Vice President and the FBI." On Sunday, Dowd told NBC News he composed the tweet and sent it to White House social media director Dan Scavino for publishing. Dowd told NBC News the tweet was dictated orally. "I'm out of the tweeting business," Dowd told NBC. "I did not mean to break news." Dowd also said the president's tweet saying that he "had to fire General Flynn because he lied to the Vice President and the FBI" referred to a statement made by acting Attorney General Sally Yates when she told White House Counsel Don McGahn that Flynn had "given the agents the same story he gave the Vice President" in January. "For some reason, the [Justice] Department didn't want to make an accusation of lying," Dowd told NBC. 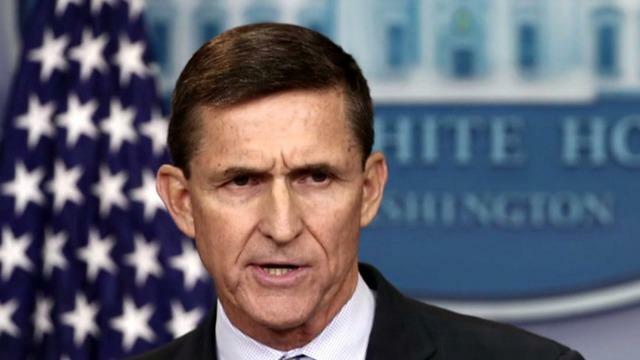 "The agents thought Flynn was confused." Dowd said that McGahn passed that information on to Mr. Trump. "All the president knew was that the department was not accusing him of lying," he told NBC. On Saturday, sources with direct knowledge of the situation had told CBS News that Dowd composed Mr. Trump's tweet about his firing. It wasn't unclear whether Mr. Trump saw the final version, sources said. The president was between fundraisers in New York when the tweet was sent from an iPhone. Sources acknowledged Mr. Trump's tweet was unhelpful, raising questions about what the president knew and when.